Criminal convictions carry lifetime consequences. Retaining an experienced, knowledgeable criminal defense attorney is an investment in your future. Retaining the right lawyer to represent you makes all the difference. 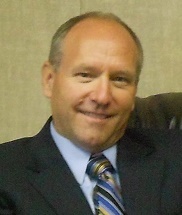 Kenneth DeCockof Plains Law Offices, LLP is a criminal defense and trial attorney. One of only two Wyoming criminal defense attorneys to be named “Top 100 Criminal Trial Attorney” by The National Trial Lawyers in 2015, Kenneth received this honor again in 2016. Kenneth was also awarded the prestigious “Top 10 Attorney” award for the State of Wyoming by the National Academy of Criminal Defense Attorneys in 2015. In 2016 he was invited to become a member of the American Association of Premier DUI Attorneys. If you are charged with committing a crime having an experienced criminal defense attorney on your side makes all the difference. It is your future, your life, and your livelihood that is at risk. Don’t trust your future to chance, contact Plains Law Offices! When approached by law enforcement, many people are afraid to refuse to answer questions for fear the officer will think they are guilty. The flaw in this thinking is that the officer already believes you are guilty. It is his or her job to try to get you to admit guilt. The need to explain oneself is a natural human trait and officers are trained to exploit this. This is why it is critical to refuse to speak with law enforcement without an attorney present with you. Every American enjoys the right to be free from unreasonable search and self incrimination. The Fourth Amendment of the Constitution of the United States provides that officers cannot search a person or place without a warrant. Article 1 Section 4 of the Constitution of the State of Wyoming provides “The right of the people to be secure in their persons, houses, papers and effects against unreasonable searches and seizures shall not be violated, and no warrant shall issue but upon probable cause, supported by affidavit, particularly describing the place to be searched or the person or thing to be seized.” There are several well defined exceptions to these rules, one being consent. If law enforcement asks you if they can search your house or car, just say “no”. Officers cannot use a refusal to consent to search against you at trial. You may be concerned that Officers will think your guilty if you refuse consent, but they likely think that already and you are much better off protecting yourself and your constitutional rights. Your Fifth Amendment right to remain silent is just that. You don’t have to talk to the police about anything. Do not lie to the police, just reply “I don’t not want to answer that question” or “I would like my attorney present.” Law enforcement is trained to obtain confessions. They often question people for hours on end. Every person has the right to stop this questioning, but most will not do so once the interview or interrogation has begun. An attorney will prevent extended repetitive questioning and will ensure your interests and rights are protected. The value of an experienced criminal defense lawyer cannot be over emphasized. Kenneth has spent over 28 years in the field of criminal law, having worked as a police officer, prosecutor and defense attorney. It doesn’t matter you are charged with a misdemeanor or serious felony, Kenneth has the knowledge and experience you need on your side! The Wyoming State Bar does not certify any lawyer as a specialist or expert. Anyone considering hiring a lawyer should independently investigate the lawyer’s credentials and ability, and not rely upon advertisements or self-proclaimed expertise. Plains Law Offices, LLP has offices in Sheridan and Cheyenne, Wyoming. We serve clients throughout the State of Wyoming, including: Sheridan, Gillette, Newcastle, Sundance, Buffalo, Douglas, Lusk, Torrington, Powell, Cody, Riverton, Rock Springs, Worland, Lander, Laramie, Casper and Cheyenne. Copyright Plains Law Offices, LLP 2019.